Deal of the day: Audi A7 Ultra | What Car? The Audi A7 is a very desirable alternative to the Mercedes CLS and BMW 6 Series Gran Coupe. Now it’s been given Audi’s ‘Ultra’ treatment, which means super-efficient diesel engines and claimed low mpg. The 215bhp 3.0 TDI Ultra transmits its 295lb ft of shove through a seven-speed automatic gearbox. Despite being the environmentally friendly model, the 3.0 TDI Ultra can still manage the sprint from 0 to 62mph in 7.3secs. 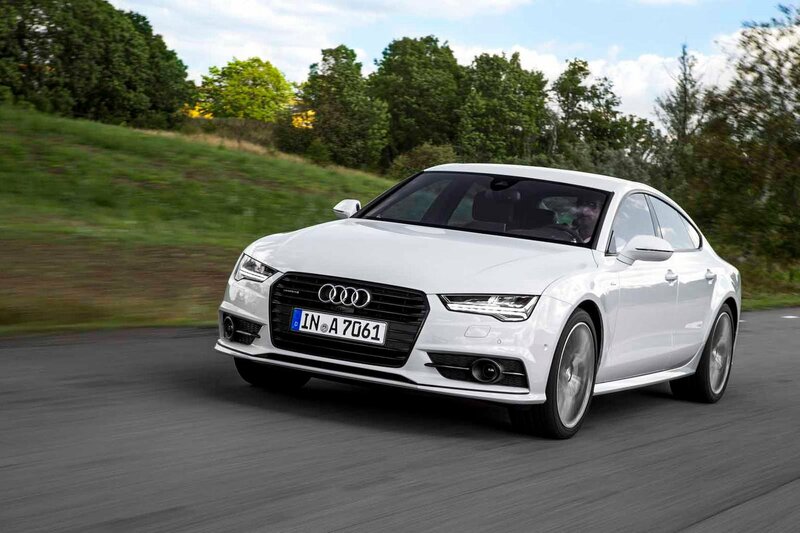 On the move, the A7 is refined, with no diesel clatter and smooth gearchanges. It also manages to be faster and more efficient than its nearest Mercedes rival. The A7 Ultra's SE Executive trim gets luxury kit such as a full leather interior and pop-up infotainment screen with sat-nav. It also gets softer suspension and smaller wheels than the S line models, which means the ride isn't as firm. The swoopy roofline may lend the A7 its eye-catching looks but it also compromises the headroom for rear-seat passengers. Additionally, anyone unlucky enough to get the middle-rear seat won’t be impressed with the space on offer. In Ultra guise, it doesn’t have the bragging rights of the quattro all-wheel drive system or the sheer power of the more potent BiTDI, S7 or RS7 versions. Most of the important features like sat-nav, leather upholstery and climate control are included as standard so we’d have to say no. Upgrade to S line trim and you get additional sporty upgrades though the ride does suffer as a result. You can now specify the ‘Matrix’ LED headlights as seen on the A8, though. To see this and more deals on the A7 range head to orangewheels.co.uk and select Audi then A7.